Lets share the feeling. 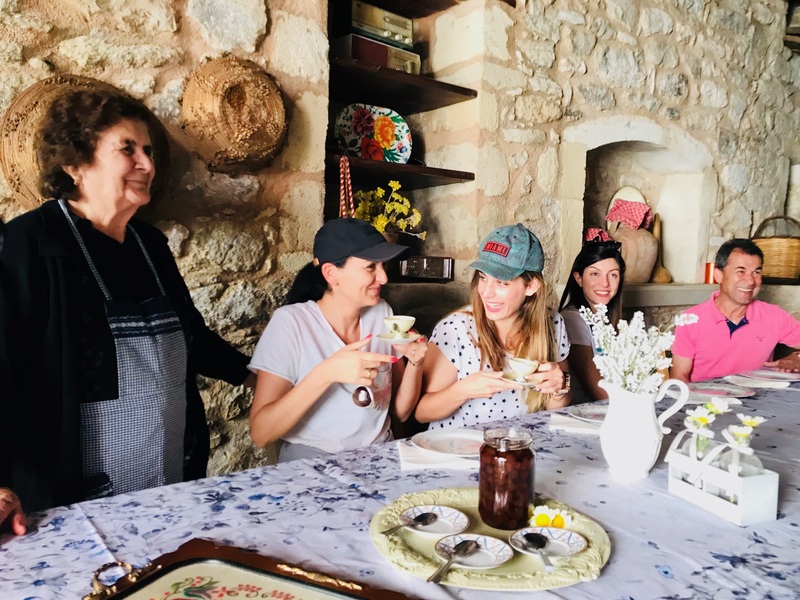 Among many authentic experiences, “Great Crete” Family Members welcome guests for a culinary experience at home in the mountains where it all begun ...This excursion is a bonus to yourself to meet Crete’s off beaten tracks. 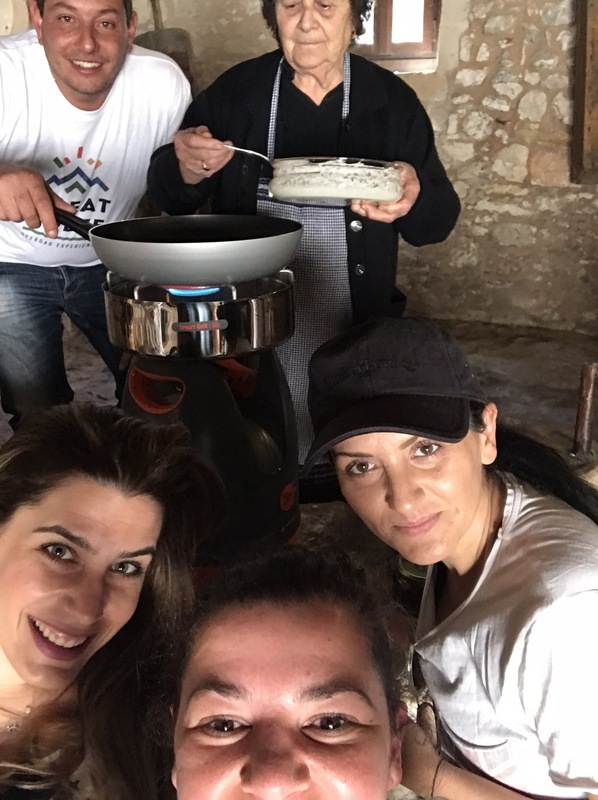 What makes us differentiated, is that we offer to a small group of explorers a unique insight to the Great Cretan culinary world. 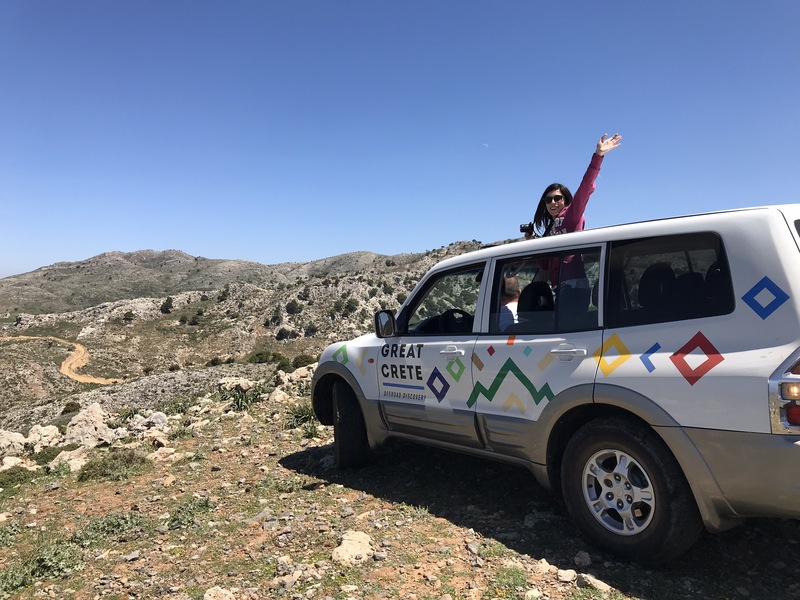 This exclusive and original Cretan tour has been specially imagined and designed for you by “Great Crete” with an authentic attitude! Sharing with the people of the country we visit, discovering their customs, tasting their food is certainly a pleasant part of our holiday. 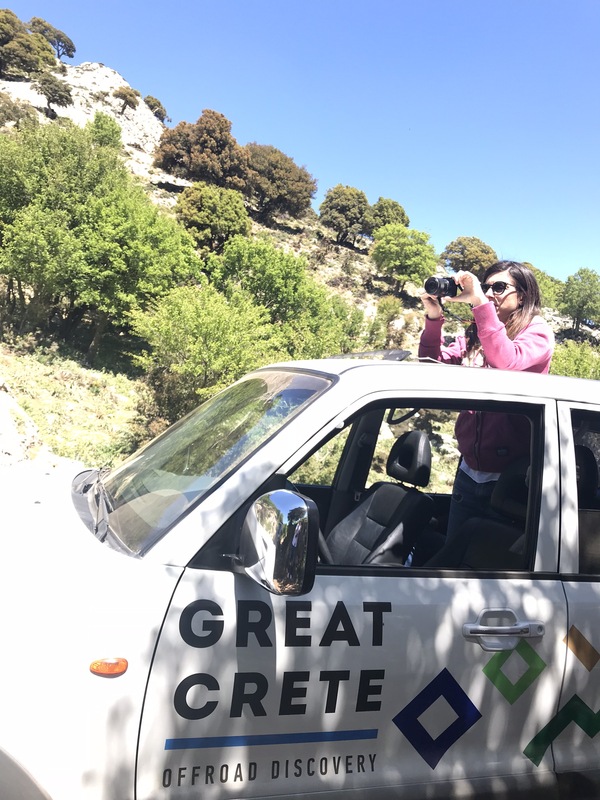 With “Great Crete”, you can have a “must” experience! 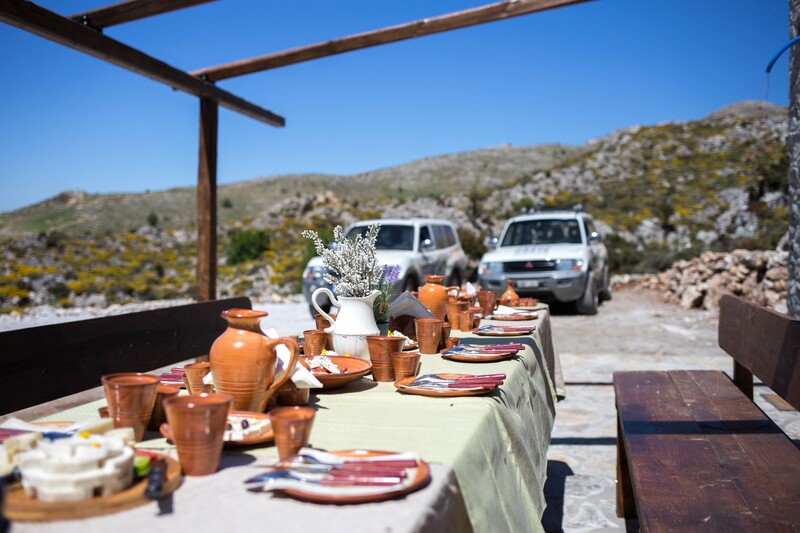 You will have the opportunity of a lunch on a Cretan mountain and feel home... You will be our guest! 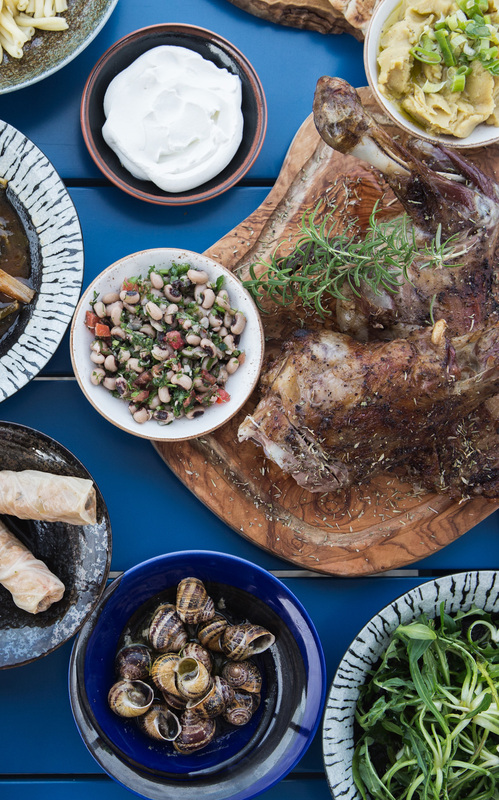 Enjoy home-grown and roasted coffee with regional delights & prepare a mystic recipe. Purchase souvenir deli produce to take home. 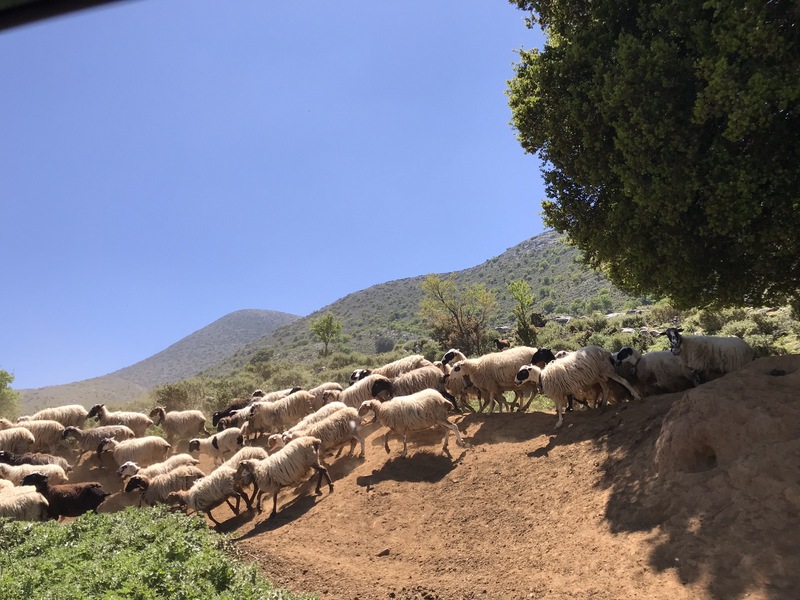 Memorable lunch on the mountains, to discover the true culinary world of Crete within more than 10 courses. 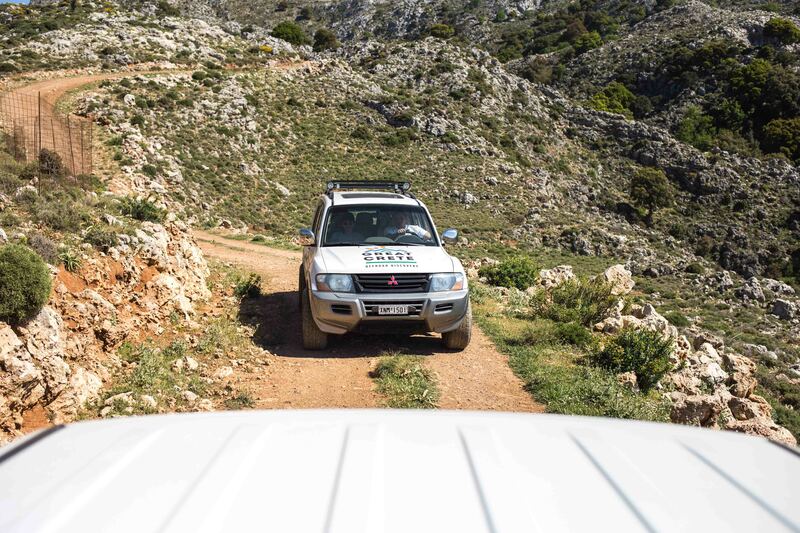 Off beaten tracks, off-road paths, discover exceptional sites and panoramic views. 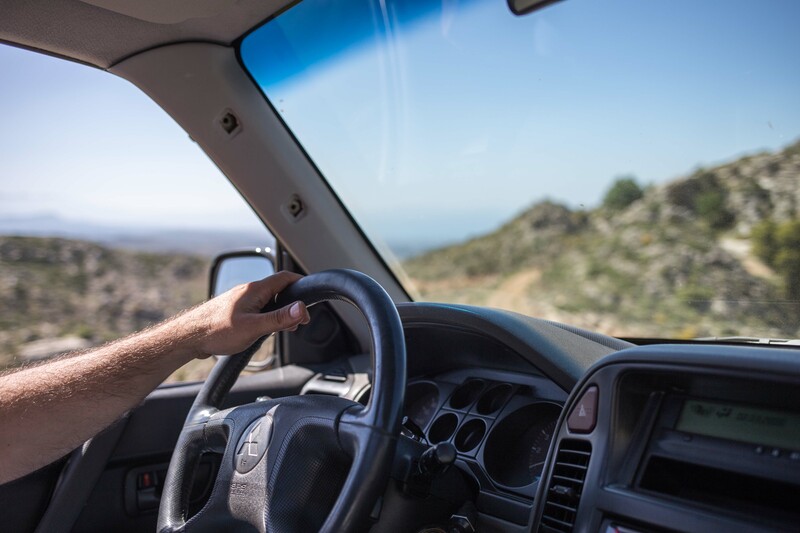 The jeep can only take six guests on board, as we want to keep it small like a family. Learn to cook real cuisine. Our hosts share their secret recipes with you! 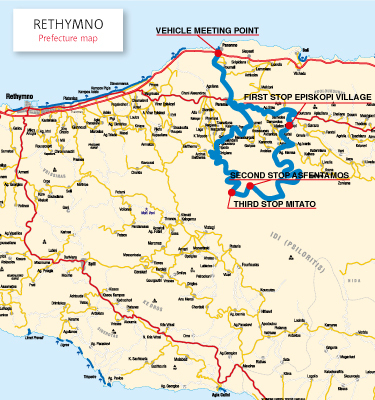 08:30 - 09:00 Pick Up at your Hotel or Villa. 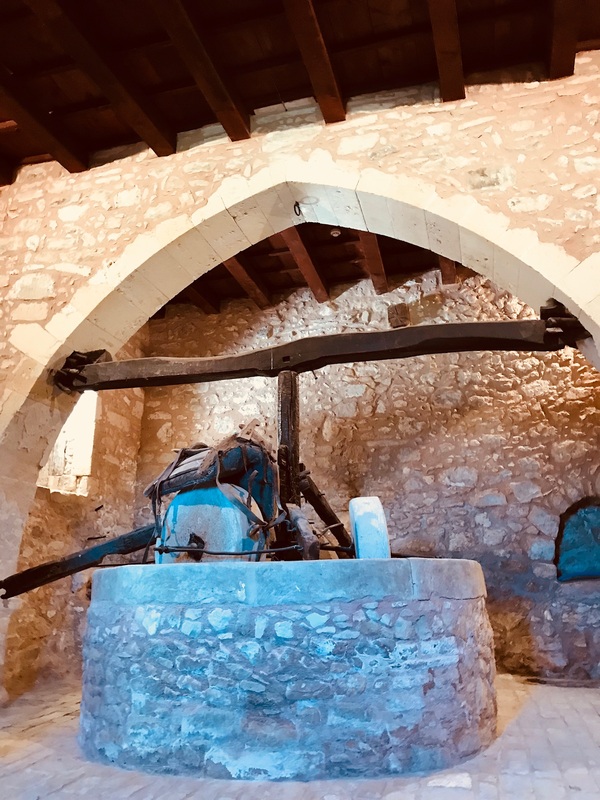 10:00 Episkopi Village: Visit the museum, enjoy our coffee or tea with local delights, explore the village & cook the “mystic recipe” of the Authentic Cuisine. 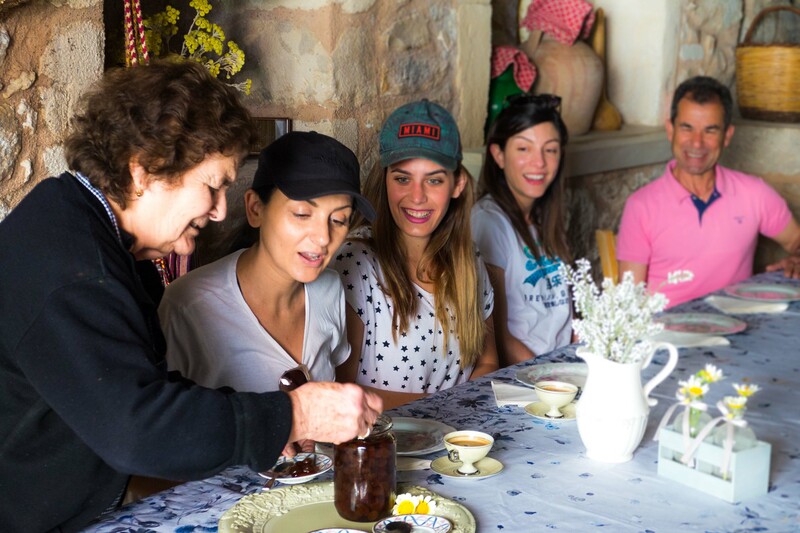 Enjoy a short Bazzar Honey Production, Cheese Production & Local Delicacies. 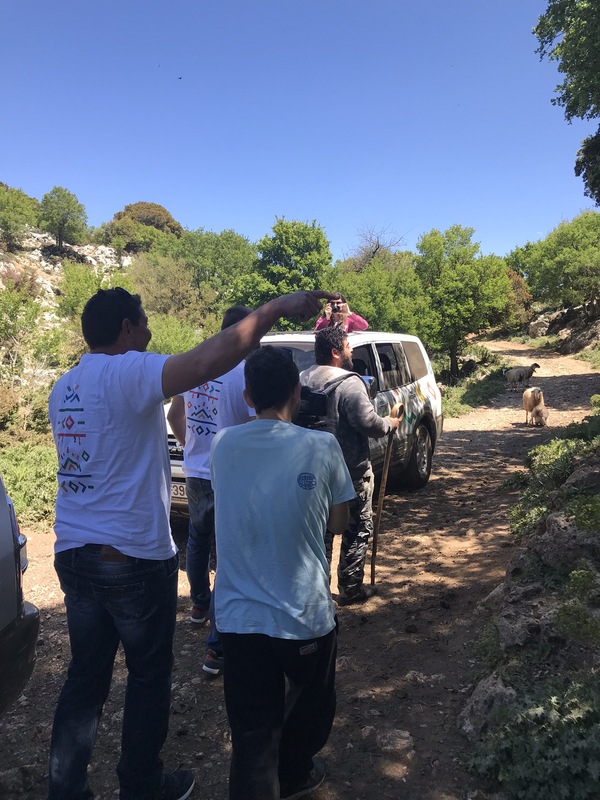 11:30 Depart for the mountain approximately 1hr. drive tour. 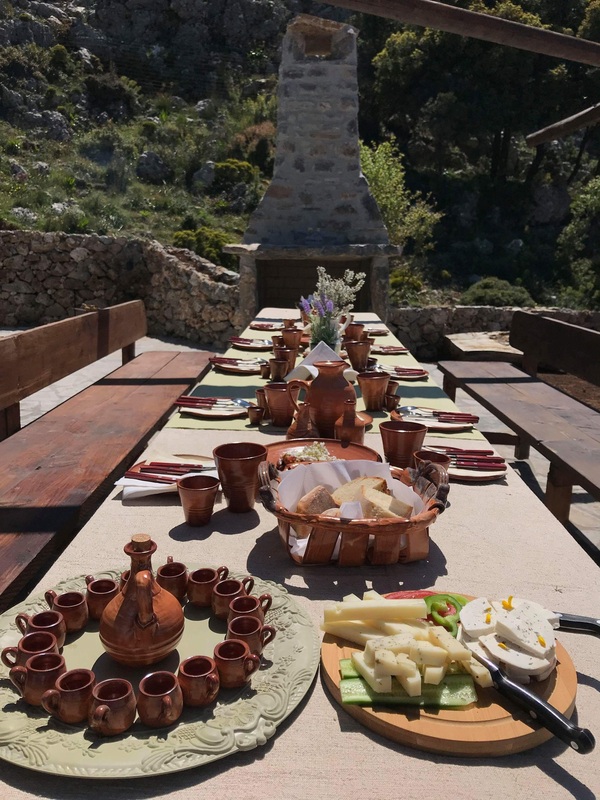 13:00 Arrival at the Authentic Lunch Location on the mountain & enjoy the local culinary highlight. 15:00 Depart from the mountain. Feel free to personalize this plan with Great Crete. 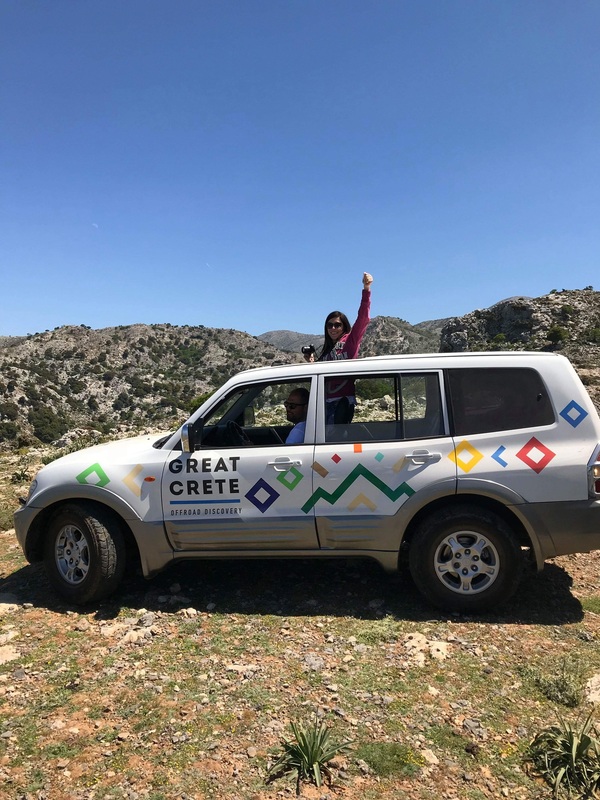 GREAT CRETE CONNECTS PEOPLE THROUGH FOOD & EXPERIENCE! 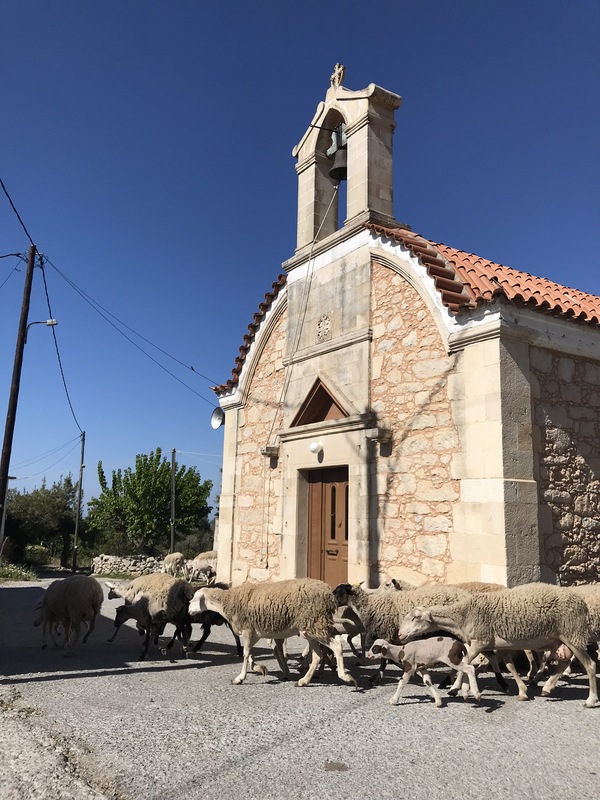 From crete highlights to hidden gems. From food essentials to home dinners. Our hosts share it with you.